Eight pages with letterpress cover; 11 7/16 x 8 3/8; handsewn. 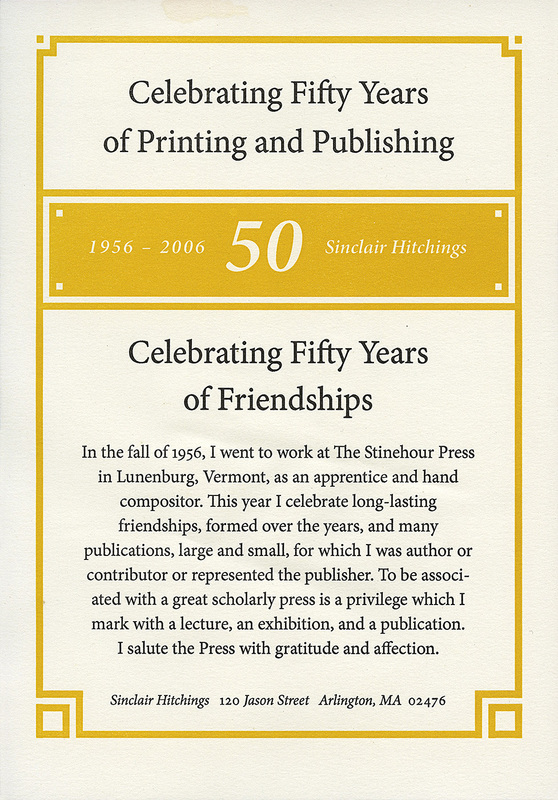 Printed by the Stinehour Press, Lunenburg, Vermont. 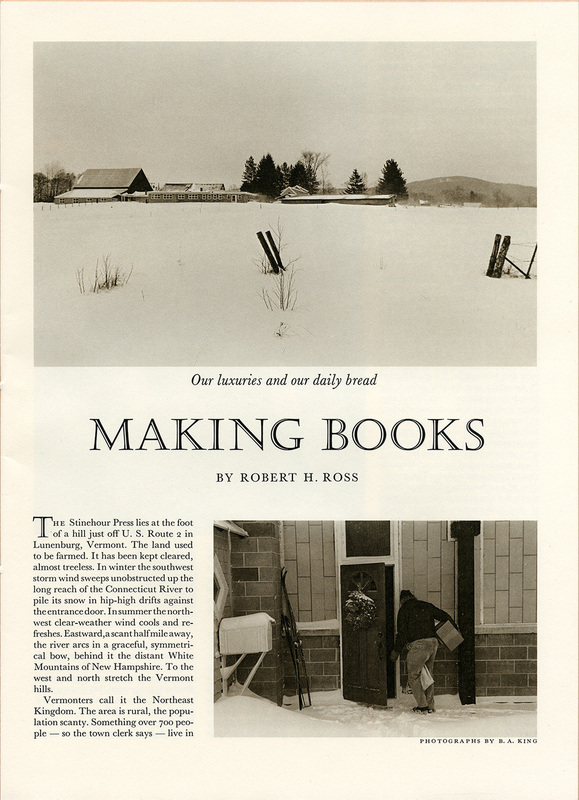 Reprinted from the Dartmouth Alumni Magazine, April, 1980. Press sheet of two-color letterpress printed bookplate for the J Paul Getty Trust. Design and lettering by Christopher Stinehour. Sign on the door of Roderick Stinehour's Library, cut in slate by Christopher Stinehour.